Rabbi Shlomo Freifeld, zt"l, said that the most hopeful phrase contains just two words -- and yet. while the world is fragile, it is the only world we have. Last summer three teenage boys were kidnapped and murdered. Operation Defensive Shield led to the discovery of tunnels and a heinous terrorist plot. More than 70 people, most of them young soldiers, were kill in the operation. The sirens went off and I spent some time in the bomb shelter. This summer has been just as emotional: a toddler and his parents were killed because of an arson attack on their house, and a 16-year-old girl died as the result of stabbing wounds inflicted by someone opposed to the Jerusalem Gay Pride Parade. 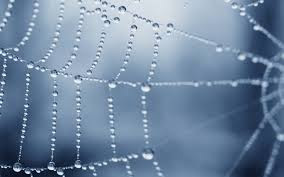 It is not for you to complete the task, but neither are you free to stand aside from it. I've been reading a lot of review books, and I have not been impressed with any of them. 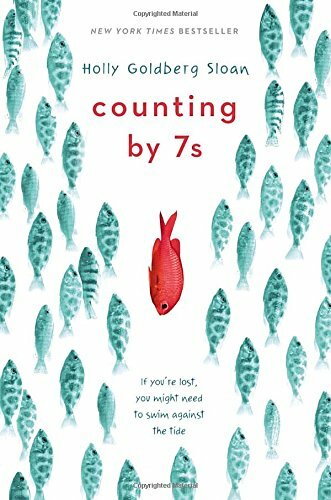 Taking a break, I read an ARC I picked up at Book Expo in 2013: Counting by 7s by Holly Goldberg Sloan (Dial Books for Young Readers). Though I am assuming the author is Jewish, there is no overtly Jewish content. 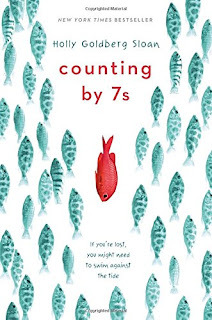 But the story of a quirky genius who unites other quirky people into a community and a family has so many Jewish values laced through it -- kindness to others, tikkun olam, treating everyone with respect and acceptance of others, quirks and all -- that it was a perfect pre-Rosh Hashanah read.